Bob Cairns speaks to Bremerton Rotary on his service in Kenya. The program was Bob Cairns from the Port Orchard Club speaking on his service in Kenya. Bob retired in 2014 and since that time he and his wife, Christie, have devoted much of their time in Kenya focusing on education and water projects and much more. 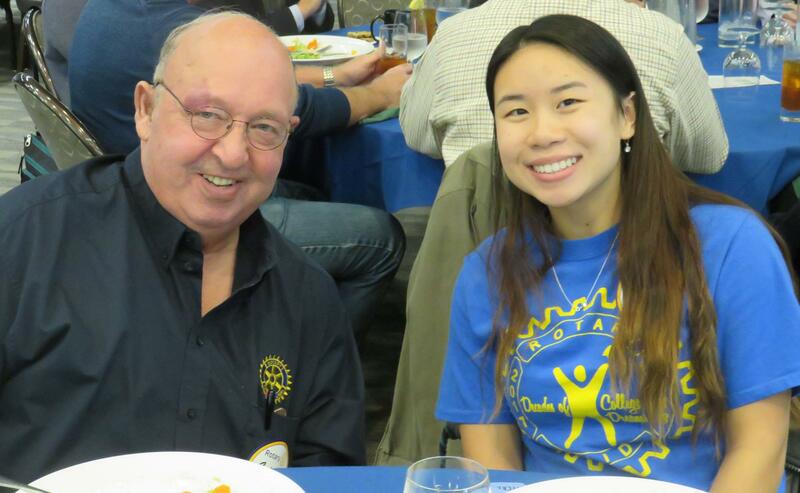 Bob has been successful in obtaining several Rotary Global Grants (very, very difficult to obtain). Bob thanked the Bremerton Rotary for contributions that had been made to the Kenya projects and noted that the contributions were very important to being able to secure Global Grants. The Global Grants come with matching donations from District 5030 and other resources. Bob’s presentation was inspirational and tremendously moving. The needs in Kenya are great and the efforts that Bob and his wife and other partnerships that they have developed have been successful in building water systems, developing food resources and getting schools set up for learning, particularly with laptops and communications. Bob is still taking donations of laptops to place in the schools where communications are minimal.